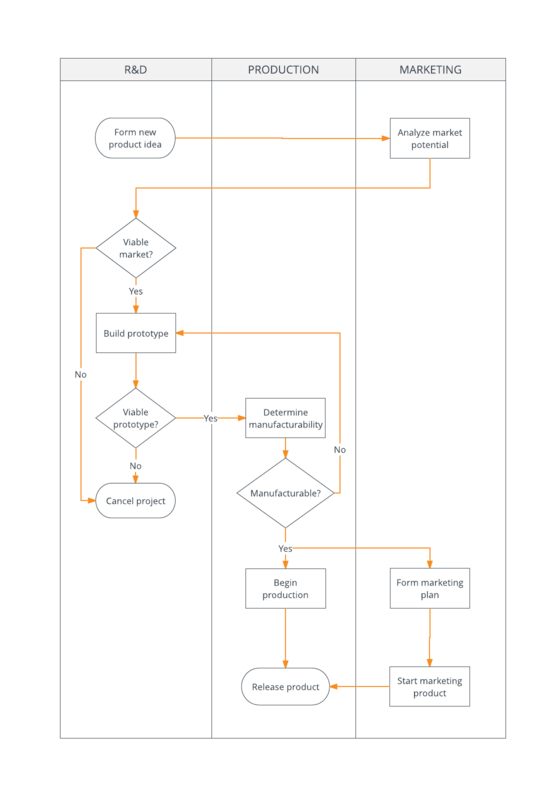 A deployment flowchart shows how multiple individuals and groups work together to complete a business process. Each group or individual has a unique lane containing all of their relevant activities. You can create a flowchart from scratch or starting with the deployment flowchart example template above with Lucidchart. Just sign up for a free account.